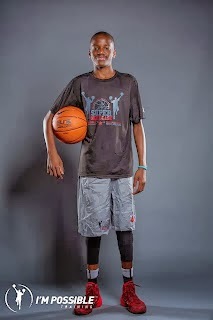 BASKETBALL SPOTLIGHT NEWS: Basketball Spotlight Season Preview: 7th Graders Ready To Breakout! Basketball Spotlight Season Preview: 7th Graders Ready To Breakout! The Basketball Spotlight season has arrived and we are beginning with our previews. Check out a few 7th Graders that we expect to have breakout seasons. Jon Jon Wilson Guard (Gauchos)- Wilson took off half the season last year and hit the gym. The decision paid off dividends. 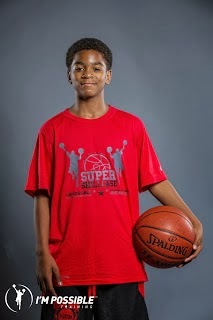 During the Super Skillcase he showed more explosiveness to his game and seems to have a different swagger. I really expect him to raise his stock this season. Marc Bruce Forward (Metro Flyers)- I think Bruce is ready to step in and become one of the main options for his squad. He’s showing more toughness on the post and even creating a little off the bounce. We will be paying close attention to his progress. Dontae Scott Forward (Team Nelson)- Scott is now ready to step out of the Mikeal Jones shadow. He showed more ability last year and if he can keep his head in the game I see him emerging as a serious problem. Bryant Antione Guard (Team RIO)- Antione should be ready to burst through the door. He has all the tools but needs a little push to get to the next level. I think this is the year he can make that turn into a beast. Trevon Alderman Guard (We R 1)- Mark my words this kid is going to take it to another level this year. 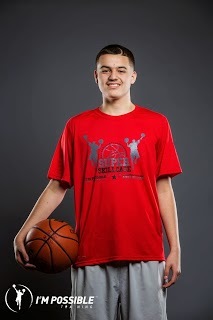 Right now he has to be one of the most underrated guards in the country. His style of play reminds me of current Brooklyn Net Tyshawn Taylor. Brian Hall Forward (New Rens)- Hall showed us some flashes at the AAU Nationals but was a little shy. Now I think he’s ready to come out of his shell. If so we might see a new budding star on the horizon. 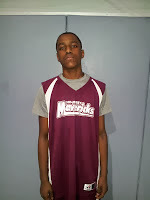 Shamar Florence Forward (Mid Jersey Mavs)- By the end of last season I realized Florence could go. Now I think he’s ready for the next step. Don’t be surprised if he’s ready to take over a few games this year. Barry Evans Forward (Metro Flyers)- At times Evans played like one of the best players on the floor but needed to be a little more consistent. This year we look for him to turn the corner and have his breakout year.